This week in gaming: More Xbox Scarlett streaming details surface, EA reveals more Origin Access Premier details, guided missiles return to Fortnite, and more! John broke out the Nintendo Switch to review Tribute Games’ port of Flinthook, a “fun, polished and crazy charming” roguelite that almost captures the same platforming perfection Spelunky captured back in 2008. According to a report from Thurrott, multiple sources close to Microsoft have confirmed that the technology company is developing two new Xbox systems. The first is a more traditional, high-powered console while the second is a “lower-powered device” that will connect to a new game streaming service. The second device will only compute certain things “like controller input, image processing, and importantly, collision detection” to ensure that players pay less than a conventional console system. Microsoft has yet to comment on this latest rumour, but it should be noted that Phil Spencer recently confirmed that the company has had discussions about the shift to streaming for its games. Speaking during the company’s first quarter earnings call, CEA Andrew Wilson revealed that Origin Access Premier is scheduled to go live before the end of next week. The new payment tier will add new company PC releases as part of users’ subscriptions, with the standard tier being rebranded to Origin Access Basic (with all existing benefits). Premier will set users back US$99.99 (approximately AU$135). Alongside this announcement, EA quietly shuttered its “On the House” free game program and removed all mentions of it from its website and the Origin client itself. When Polygon asked the company for clarification, a spokesperson confirmed the change in a brief statement. Three months after removing the weapon from the game, senior designer Andrew Bains has revealed that Epic Games is finally prepared to bring it back, albeit considerably weaker than it was. Speaking in the latest Fortnite developer video, Bains revealed that the Guided Missile has had its movement speed, turning circle, damage and area-of-effect radius reduced, and its ammo cap is now set to 12. 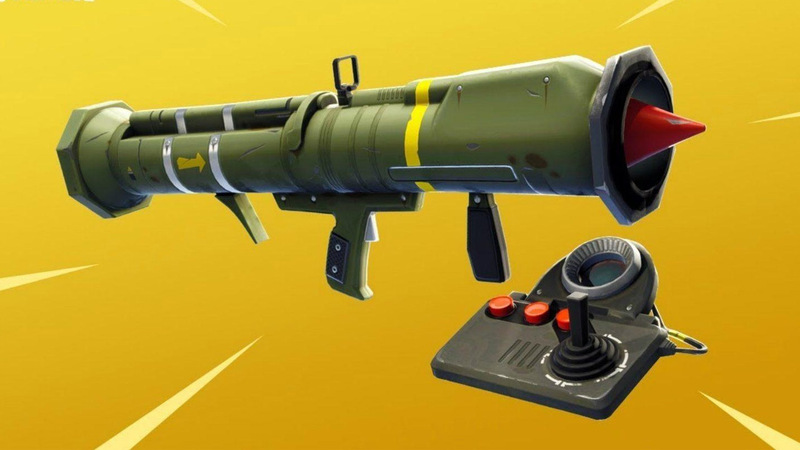 The considerable “nerf” is intended to position the Guided Missile as a “scouting tool” – still capable of the fun and folly it was previously associated with – rather than a match-winning weapon of mass destruction. Epic has not revealed a specific date for the Guided Missile’s re-release as of this writing, but Bains did call it Fortnite’s “next item release”; so it can’t be far away now. Three and a half years after its debut as an open-world zombie survival game and just two months – and more than 10 million players – after its PS4 open beta launch, Daybreak Game Company has announced that its free-to-play battle royale shooter is set for full release on August 7. Alongside a number of performance optimisations, the full release will include two new weapons, the RPG and SOCOM Sniper Rifle; a new vehicle, the ARV, which can hold a full five-person squad and has a pop-up hatch for a single marksman; and a Season 1 Battle Pass that offers a variety of unlockable rewards across its free, premium and PlayStation Plus tiers. The new controllers are themed around Mario, Pikachu, and Zelda and feature new buttons (+, -, Home, and Screenshot) to better complement the Switch’s updated functionality. Furthermore, the controllers will use a standard USB-A port, include L/ZL/R/ZR shoulder buttons, and have texturised grips. Hori’s GameCub-like Switch controllers for Super Smash Bros. Ultimate. A French court has found that a former Quantic Dream employee was unfairly dismissed after resigning due to the alleged mistreatment of staff at the studio (via Eurogamer). Gamekult’s Nicolas Turcev also noted that two other employees with similar lawsuits lost their cases, with one of them appealing their case’s outcome (via GamesIndustry.biz). Quantic Dream has yet to make an official statement regarding this major decision, but it has the right to an appeal according to French law. Square Enix and developer Crystal Dynamics give us a ten-minute look into “the largest hub ever found in a Tomb Raider game”, which includes “challenge tombs, side missions and more”. Bungie is really trying hard to win over Guardians with another great showing for Forsaken. Prepare yourself for the third and final chapter of Stoic Studio’s award-winning strategy RPG with this two-and-a-half minute trailer. Kunos Simulazioni’s gorgeous celebration of motor racing is headed to Steam Early Access on September 12. What better way to celebrate than just over a minute of pure graphical brilliance? Take a closer look at protagonist Kazuma Kiryu’s relationship with Detective Kaoru Sayama in SEGA’s second Yakuza remake, which is set to release in the west on August 28. Netflix is back with another season of its surprisingly well-liked take on the Belmont vs. Dracula saga.